Agent 007 and M's interrogation of Mr White proves no one can be trusted on James Bond's newest action adventure, "Quantum of Solace". Fueled by the betrayal of Vesper, the woman he loved, Bond's determination to track down the mastermind behind White's sinister organisation leads to Haiti, where he finds an unlikely ally in Camille, a beautiful but feisty stranger. 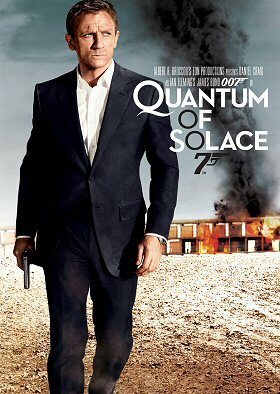 The trail quickly leads to Dominic Greene but with the British Government and the CIA working against him, Bond must kill or be killed on his mission to uncover the truth and destroy 'Quantum'. Thanks to Nicolás Suszczyk for the alert.